I’ll be honest, I didn’t know what to expect. I had been to Turkey when I was a child, but this would be the furthest east I had been in recent years. It’s not like I was afraid of going there or anything, I just didn’t know what to expect! I did a little bit of research the day before flying out. This let me get a few spots in mind to try and get some images. The culture seemed quite fascinating as Hungary has many influences from the Turks and the Austrians which can still be seen there today. We arrived at the airport sometime near midnight and ended up getting to the apartment complex sometime after midnight. It’s all a bit of a blur if I’m honest as I was tired and trying to take in everything we were passing. The first night was a bit of a write off as we arrived so late. The next morning Kathryn and myself tried to get to grips with the area and explored a bit. Turns out we were quite central. We bought and made breakfast and then decided to try and find some of the spots we would be visiting for pictures at a later stage. 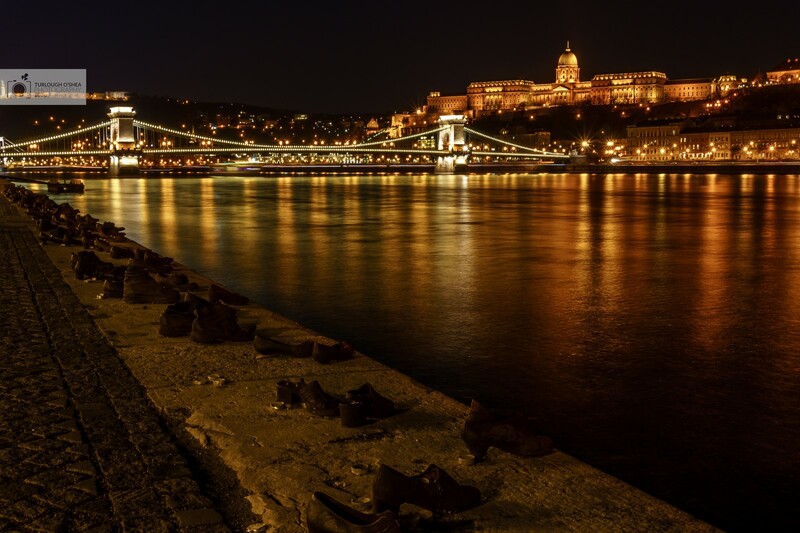 One of the spots we wanted to photograph was the Shoes on the Danube Bank. This is a memorial to Jewish people who were ordered to remove their shoes before being shot and fell into the Danube. They were ordered to remove their shoes as they were quite valuable at the time. This was quite a poignant memorial as its designed in such a way that you would think the shoes are real until closer inspection. The next stop after that was to cross the Danube to get a picture of the Hungarian Parliament building. 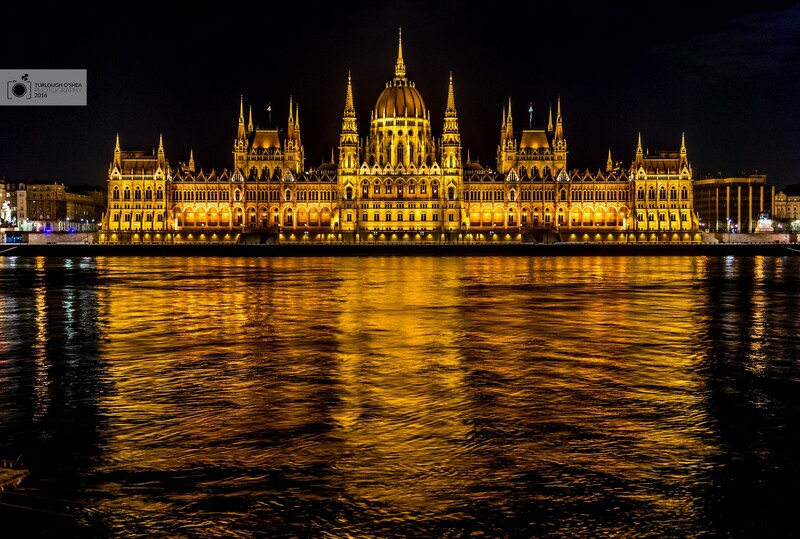 This is the 3rd largest parliament building in the world. It took it’s inspiration largely from Westminster in London. I wasn’t so sure what to do with this shot so I tried numerous things including wide lens, high aperture and high shutter speed. However, in the end I found it best to use a medium focal length with a short exposure. A lot of clarity was used to bring out the detail in the building. 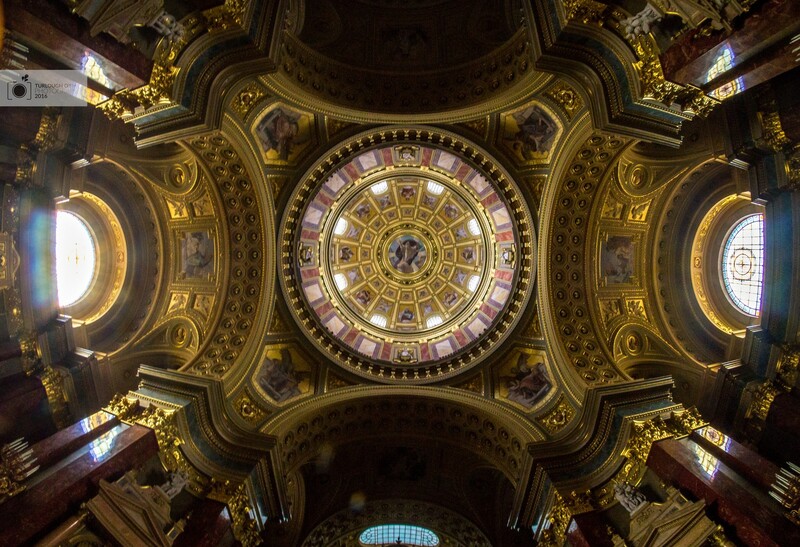 The next day we paid a visit to St Stephens Basilica. It was quite close to the apartments so I said I’d include it in day 1. 😉 The Basillica itself was beautiful inside and out. There were probably too many people outside to try and get a good shot so I settled on a nice image of the roof of the basilica. This worked better with wide angle. As it was dark and indoors, I needed to boost the ISO to 1000 to try and get it exposed well.